You’ve got to love a good dance number — the kind that makes you tap your toes and want to get up and join in! Great dance movies are everywhere from every era, and I’ve put together a list of the top 5 dance movies (or just movies that have great dance scenes in them). So take a look and see if your favorite made the list, and enjoy the videos of some of the best dance numbers from those movies. This iconic coming-of-age movie charmed audiences across America in 1987. It is still considered a classic today, and its famous dance scenes are the reason it made this list. This final dance to “Time of My Life” is treasured today, thanks to the romantic partnering by leads Patrick Swayze and Jennifer Grey. Check out this video clip of the dance! This 1952 movie is a classic for so many reasons. Gene Kelly and Donald O’Connor make a dynamic duo along with Debbie Reynolds in this movie about the beginning of “talking pictures.” Kelly and O’Connor give a memorable performance that is the true essence of classic tap dancing. “Moses Supposes” is a fantastic dance number from this movie because it shows the impeccable skill and technique of these great dancers of history. Take a look — they don’t miss a sound! Step Up blends hip hop and the streets with graceful jazz and ballet dancer. The two characters, Tyler and Nora, come together to share their love of dance. This movie from 2006 is a great one to show how different styles of dance can come together beautifully. Here is the final dance scene from the movie — a thrilling and exciting combination of jazz, ballet and hip-hop. This 2000 movie shows ballet at its finest in its many different forms, from classical to contemporary. It gives some insight into the struggles and challenges of aspiring ballerinas in New York City’s American Ballet School. To read a more in-depth review of the movie, check out my previous post: “Review of the dance movie ‘Center Stage. '” The best dance number in this movie is without doubt the contemporary ballet piece at the end of the movie. Take a look at this video to see why this ballerina and her bright red point shoes made the list! Who doesn’t love a good musical? 2007’s Hairspray never ceases to lift my spirits and make me desperately want to join in! The best dance number in this movie is the movie-ending, show-stopping “You Can’t Stop the Beat,” where Tracy Turnblad and her family and friends celebrate the breaking of racial and social barriers in 1960s Baltimore. This iconic dance number features a huge group of dancers in perfect synchrony. The bright outfits and up-do hairstyles add fun and flavor to this ’60s throwback. Check out this video and enjoy this scene from my #1 dance movie! Hundreds of young dancers dream of becoming Radio City Rockettes. From the opening number in the Radio City Christmas Spectacular, it’s clear that something is different about the Rockettes. With poise and class, they embody passion for dance and the precise technique that’s needed to be a dancer. I haven’t had the opportunity to see the Christmas Spectacular in New York City, but I did see the touring Rockettes cast in Pittsburgh, Pa., at the Benedum Center about five years ago. From dance number one, I was hooked. I fell in love with everything from the gorgeous, sparkling costumes to their precise, totally synchronized movements. Since then, I have dreamed about being a Rockette and dancing in Radio City Music Hall, and in an amazing way, I was able to make those dreams come true for a week this past summer. 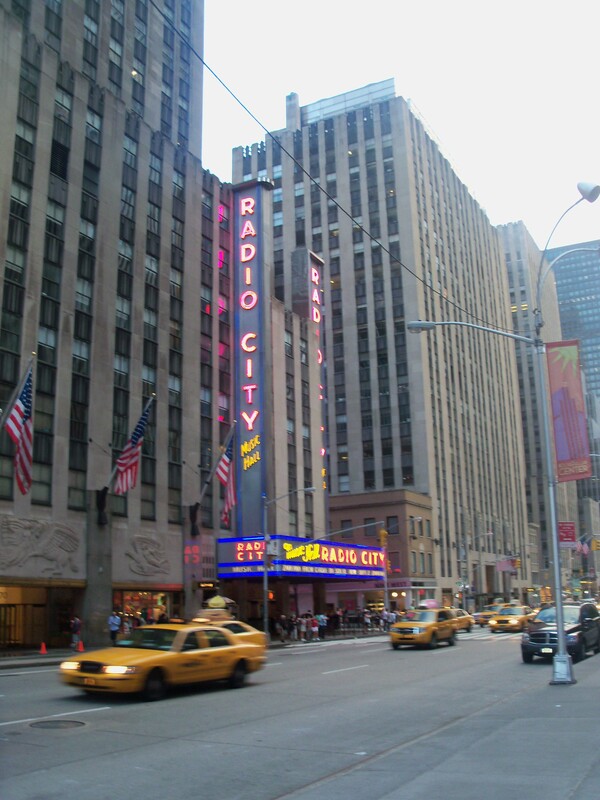 I auditioned for the Rockettes Summer Intensive in Pittsburgh in January 2012. A few months later, I got an e-mail congratulating me on my acceptance into the program. I was beside myself — a week of essentially being a Rockette in New York City! The end of July couldn’t come fast enough. Hotel reservations were made (for the Waldorf-Astoria, of all places! ), train tickets purchased, and character shoes fitted. And on a hot day in late July, I walked out of Penn Station in New York City and just embraced that feeling that you can only get in the fast-paced, exciting world of New York. Rockettes camp was an incredible experience. For that week, I was a Rockette. Every morning I grabbed breakfast at a little deli on West 49th and walked to Radio City Music Hall, hair in a bun and dance bag on my shoulder. Each day included technique classes in tap and jazz and rehearsal time, during which we learned the three numbers to be performed at the end of the week. 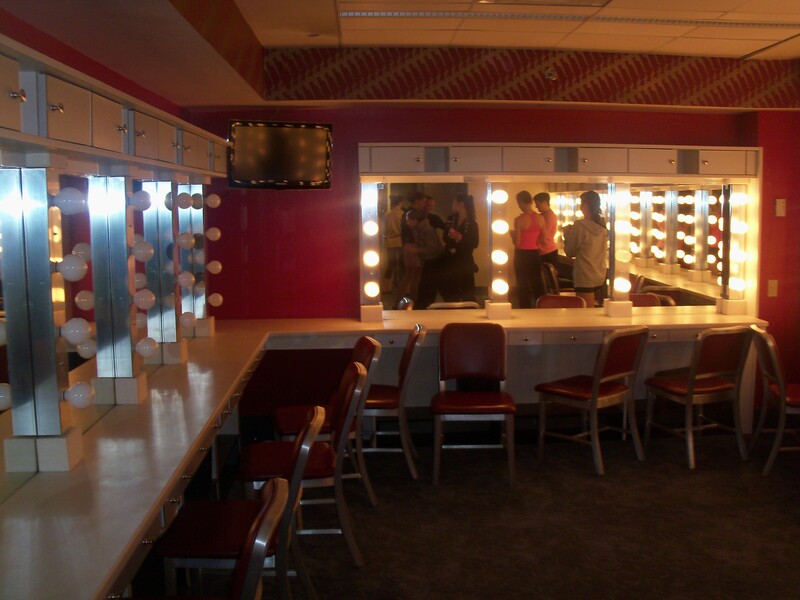 During some special sessions throughout the week, we got to take a tour of Radio City Music Hall, visit the Rockettes’ dressing rooms (normally off-limits to the public), and hear from our Rockette teachers about their stories and audition tips. I’m not going to lie: my feet have never hurt as much as they did that week. I enviously watched the girls wearing La Ducas, who looked like they weren’t in nearly as much pain as I was… but I powered through! After all, no pain, no gain — right? The week was incredible, and I was definitely challenged and pushed each day. I experienced the rigor of the life of a Rockette, but I also got to experience the amazing end result through the performance at the end of the week. Onstage at New York University downtown, I got to perform as a Rockette — a dream come true. What that week instilled in me, most importantly, was an even higher level of respect for the Radio City Rockettes. They pick up choreography incredibly quickly and pay attention to the tiniest details to make those dance numbers as clean and sharp as they can be. They dance in those heels for hours every single day to prepare. But the coolest thing is that they are so incredibly passionate about what they do. They know that generations of little girls look up to them with stars in their eyes, and the Rockettes take that role model position seriously. I can’t say enough good things about the teachers and students I met at the summer intensive program. The teachers took great care to call each dancer by her name and give her honest and helpful critiques to help her improve. The genuine care and love from everyone involved in the intensive was evident, and they will only help dancers like me become the best that we can be. 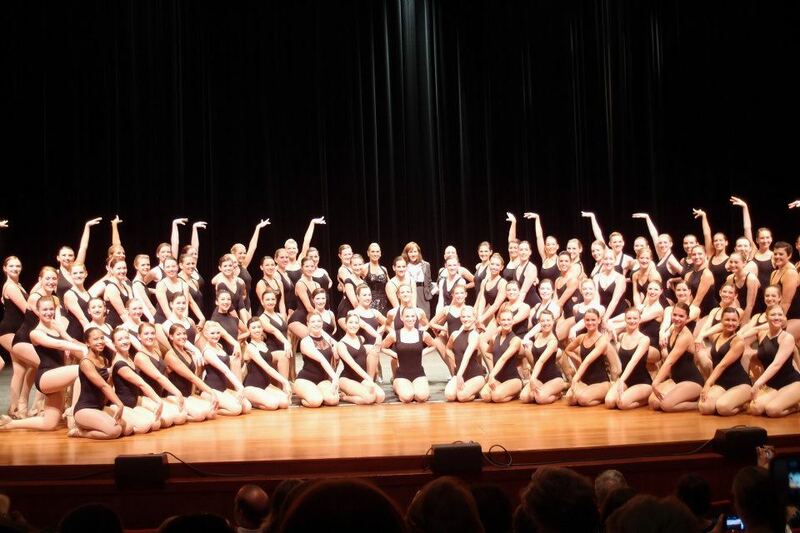 The Rockettes Summer Intensive taught me so much in just a week. It allowed me to be a Rockette in New York City and to dance in Radio City Music Hall every day…it doesn’t get any cooler than that. Check out this video below of “Twelve Days of Christmas,” which is one of the numbers I learned (partly) for the intensive! On any given day, there’s a pretty good chance that you pass a dance studio when you’re driving to work or school. 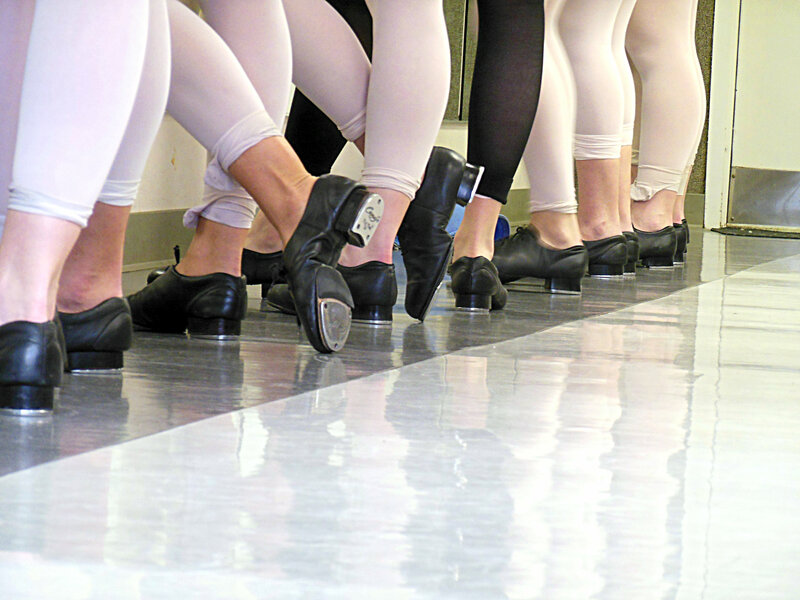 If you’ve ever taken dance classes or dropped your child off at the studio, then you know what goes on during a typical day: hours of hard work, sweat, and of course, fun that go into making the show, recital or competition the best that it can be. That two-minute dance in the year-end recital is the result of months of dedication and learning. 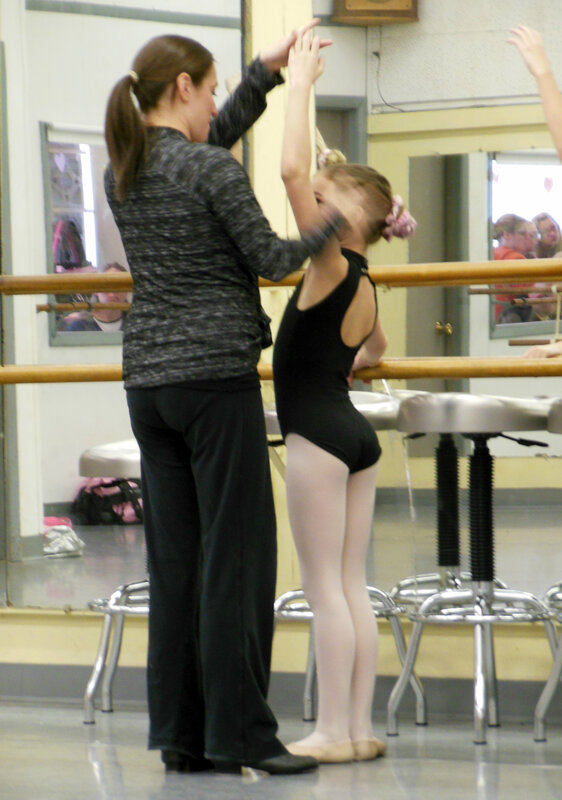 All dance teachers put their heart and soul into teaching young dancers to grow and strengthen in technique as well as in their love of dance. 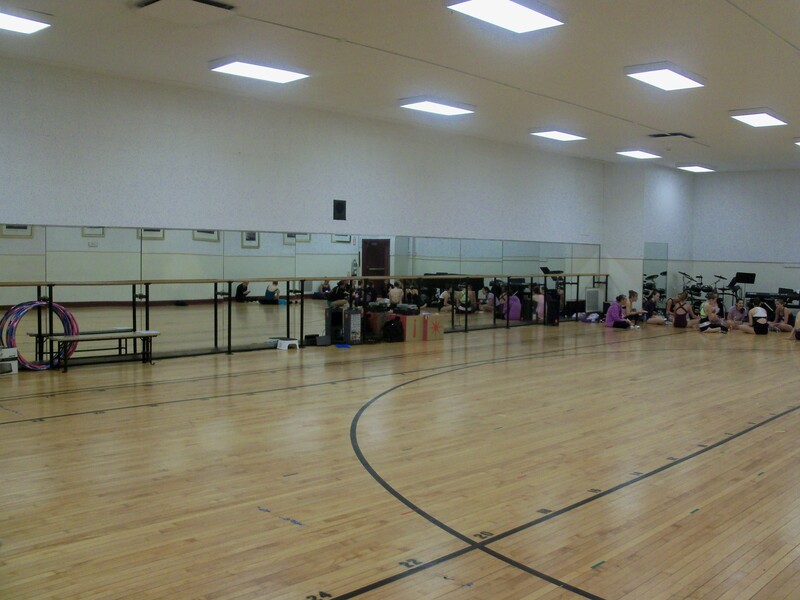 To take a look at a day in the typical dance studio, I went back to the studio I grew up in…literally my second home. Although a couple years have passed since I danced there daily as student and an assistant teacher, it’s comforting to know that things are still the same. Dance shoes, costumes, and costume catalogs are spread throughout the studio, while the gong for the famous “Gong Show” tap game and photographs of former classes decorate on the walls. Just before nine o’ clock on a cold Saturday morning in February, cars pulled into parking spaces and girls hopped out, with their hair pulled into a bun and dance bags thrown over their shoulders. Their friendly chatter and laughter fill the quiet studio as the lights turn on for the day. The advanced class gets down to business immediately: Competition is quickly approaching — only six weeks left — and the dance is starting to come together. The taps on their shoes glint in the sunlight through the windows and fill the studio with synchronized clicking and clacking. Meanwhile, a second competition group practices with tap floors and stools for their dance…all while remembering to smile! Younger girls file in, watching the older girls with awe and admiration through the windows from the waiting room filled with moms and siblings. Their ballet class starts, and they warm up at the barre and go to the beginning of their recital dance. In the back room, the older girls have moved on to acrobatics class while the younger girls switch into their tap shoes. Music and lyrics from songs like “Movie were Movies” and “Bandstand Boogie” float from each room and add to the everyday sounds in the dance studio. Finally, the littlest girls make their way in to class, hair pulled back and fluffy ballerina tutus over their leotards. The teachers and student assistants lead classes all day, filled with energy and their love of dance. The dancers look up to them with love and excitement as they enjoy another Saturday of dance classes at the studio. To check out a photo slideshow of my day at the dance studio, click here! 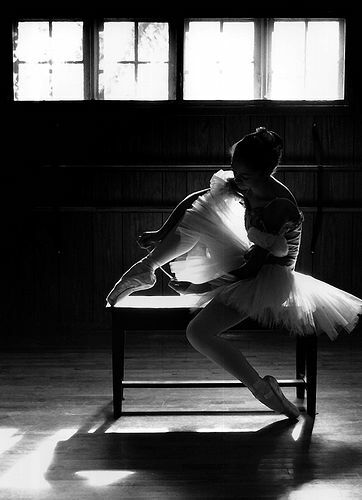 Dancing allows the stresses of everyday life to melt away. It is a natural reaction of joy, celebration and excitement. It is a form of praise and an outlet for creativity and emotion. While there was no specific day or time that it was invented, dance can be observed in many forms and purposes throughout history. As early as biblical times, dance is mentioned as a form of happiness and is often closely associated with music. It is mentioned throughout the Old Testament, including in the books of Job, Ecclesiastes and Jeremiah, as a way to express happiness and joy. The books of Psalms references dancing as an act of praise and worship, as well. Terpsichore was the ancient Greeks’ Muse of dance and dramatic chorus, reflecting a glorified and honored place for dance in the culture of ancient Greece around 600 B.C. By the 1500s, the Renaissance in France and Italy had given way to the very first ballets. They were made as a form of entertainment for the royal and wealthy and included music and glamorous costumes. This led French King Louis XIV to start the first known dance company called Académie Royale de Danse in 1662, where dancers could train in the art of ballet. The next several centuries brought famous ballets that are still being performed today, including Swan Lake (1877) and Coppélia (1870). African slaves and European immigrants in the 19th century brought with them a culture of dance that took hold, eventually forming into what is now known as jazz and tap dance. The more relaxed and loose dancing focused on distinct rhythms and and beats in music. By the late 1800s and early 1900s, these dance forms had gained followers and dancers who enjoyed the freedom that they enabled. Famous jazz choreographers include Bob Fosse (1927-1987), Jack Cole (1911-1974) and Jerome Robbins (1918-1998). Check out these videos of famous tap dancers Fred Astaire (1899-1987) and Gene Kelly (1912-1996) in action! Today is dance is everywhere, from local studios to TV shows and movies. Reality shows like So You Think You Can Dance and Dance Moms follow real dancers with dreams to make it in the world of dance. Plenty of different types and styles of dance have come from the basic forms of tap, ballet and jazz, including break dancing, hip hop and ballroom, among many others.